HAPPY NEW YEAR FELLOW STEEMIANS! 2018 has been a great year, and 2019 is the chance to reflect and improve everything from the past year. I am in love with what dtube is an it's community. I am a strong believer in this community and platform. I really want to see dtube grow and flourish, and here is where YOU come in. I have organised this contest along with @SteemerSayu907 as a way to give back to the community, with the help of @DRisers community to make @dtube a better, bigger, improved platform. How can the number of users on dtube be increased? Share with us your plan on how to increase the number of users on dtube. In what ways can dtube be made more attractive for users to join the platform, in what ways can the traffic be in increased. Video with the best plan will win 10 STEEM in rewards as well as will work directly with @drisers on executing it! The 10 STEEM is for you to do anything with. USE THE TITLE "My entry for DTUBE2019 Contest- (Insert main theme here)"
Example: "My entry for DTUBE2019 - Upload more cat videos"
Use the tag #drisers and #dtube2019, the others can be anything you like. Resteem this post to invite as many people as possible. All entries should be uploaded and submitted before JANUARY 8, 2019 11:00 AM EST. Special thanks to @NathanMars for the 777 SP delegation! I'm tagging a few people who might be interested, as they love dtube also!!!! Well, I talk about my plan in the recent 2 part Podcast I did. I will do a Nationwide Tour promoting STEEM and #dtube. I also Believe targeting thoughtful comments on viral youtube/twitter and ig with a curation trail like, "likes" for the comments would do the job of gaining exposure. If I for example, made a video highlighting comments I made on youtube videos, then linked those comments in the dtube vlog description. Dtubefamily777 and/or another curation trail will flash mob style 'likes' #dcomments made on viral videos. I will make that videos :) Ideal claimed. It's very good for you to organize a very good Contest, this is your Contest, and will definitely try thank you so much for keeping a good Contest for us. Thank you! I think more people need to get involved in improving the platform they believe in! Can't wait for your entry! This is a good one to ask? Thank you! Yes, I wanted to start the year on a very positive note! Do give it ample thought and submit your entry and valuable feedback on how to make dtube more attractive! Will be looking forward to it! HAPPY NEW YEAR! Great initiative :), I hope it will get to the deserving one😊. Best of luck to all :). I am sure you have more than amazing ideas for dtube! Why dnt you show them off by participating! Can't wait to see your advice!! Thanks for your uplifting compliments, we are trying our best.! So excited to see you finding your niche. I am loving it very much. Makes me proud to be your Wagoneer sibling. I am thankful to have a support system like yourself to help me find a footing here! You are so welcome. We love what you have brought. Now if i could just get @scottf to take some of your fashoon ideas. VERY COOL! Can't wait to see your video and idea!! This is great idea to brings more people with the great community of DRisers. Yes I think we will find spome great ideas for dtube through this contest! watched and noted! I joined onelovedtube to try out the uploader myself! YAAAS! Looking forward to your entry!! Very excited to watch your entry !! @blind-spot, happy New Year! Congratulations for the 777 SP delegation. Nathan is a great Steemian and wonderful person. Interesting contest, my friend. Let's see who will win it. Btw, it seems you have a lot of snow in Kiev. congratulations!!!! this upcoming year is going to be fantastic for you!!! gotta make it fantastic myself, right? Truly appreciate your collaborations and bringing new energy to Dtube!!! I’ll be also coming up with my plans to increase the number of users of dtube with our LinkSeven77 update on the 7th January. Then you should participate in the contest haha! Nothing to be thanked for! Hi @blind-spot, your post has been upvoted by @bdcommunity and the trail! Just browsing around Steemit and noticed your dtube ....pretty cool contest thumbs up! Upvote your post to support. 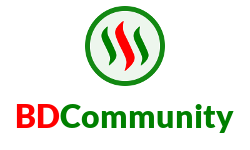 Hope we can stay connected and support each other on Steemit!